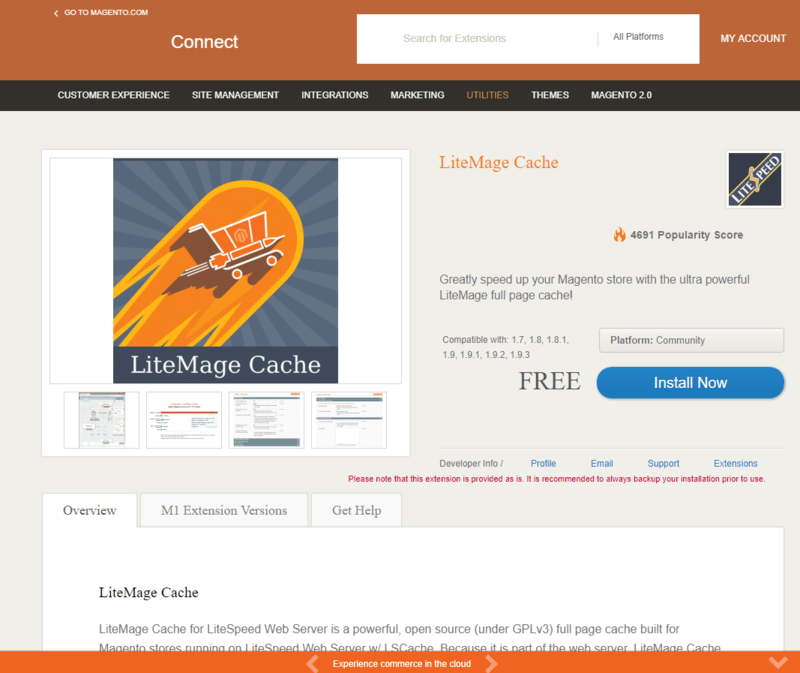 LiteSpeed Blog / Products / LiteMage Cache / Magento Connect Goes the Way of the Dodo… Now What? Magento Connect Goes the Way of the Dodo… Now What? As many of you might be aware, Magento connect, the site responsible for hosting thousands of Magento-verified plugins is being taken down today (Sept 15th, 2017) and being replaced by Magento Marketplace. Magento Connect has served as a great platform for us in exposing LiteMage to a wider Magento audience and we are sad to see it go. Overall, LiteMage’s time on Connect has been very positive, with 4,600+ downloads since we first put the plugin up two years ago, and an outpouring of customers amazed at the performance gains they were able to achieve using our intelligent ESI caching. Will LiteMage be making the move to Magento Marketplace? The answer is, “hopefully!” While our Connect experience was a good one, we still have a few question about the Marketplace move and are waiting on a response from the Magento team before proceeding. In the meantime, we have made the LiteMage plugin available directly on our site as a download and have updated our installation guide to reflect any changes this introduces. Rest easy knowing that no matter where you have to go to download LiteMage, we remain committed to continuing its reputation as one of the best Magento full-page caching solutions out there. LiteMage will always be free and open source! What do you think about the new Magento Marketplace? Let us know in the comments!